In May 2017, the journal Klinische Monatsblätter Augenheilkunde (engl. Clinical Monthly for Ophthalmology, founded in 1863) devoted a special issue to the Research Unit FOR 2240, whose main seat is in the Department of Ophthalmology at the University of Cologne. 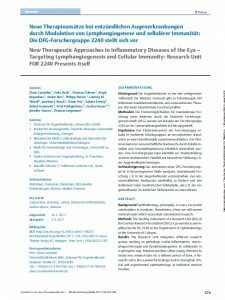 The Research Unit FOR 2240 “Angiogenesis, lymphangiogenesis and cellular immunity in inflammatory diseases of the eye” is a stand-alone in the medical specialty of ophthalmology: it is the only research unit in ophthalmology to be funded by the German Research Foundation (DFG). The DFG Research Unit FOR 2240 currently has six basic projects carried out at three locations (Cologne, Muenster and Erlangen-Nuremberg) and two Cologne-based, overarching central projects with supportive aims. 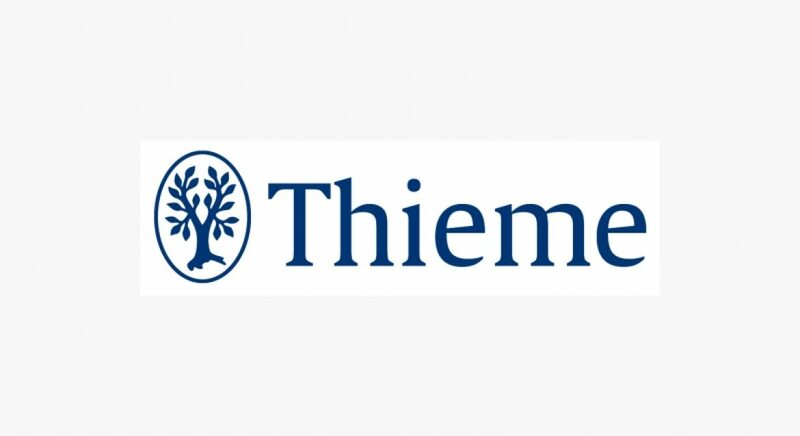 Here is a pdf of the German-language overview of the research unit, which the Stuttgart-based Thieme Publishers put out in the May 2017 special issue of Klinische Monatsblätter Augenheilkunde, along with four further contributions by the FOR 2240 projects.